Muscovite (also known as mica) is a mineral made of aluminium and potassium. It is made up of very thin sheets which are often elastic. Sheets of muscovite that are huge (5 meters by 3 meters) have been discovered in Nellore India. 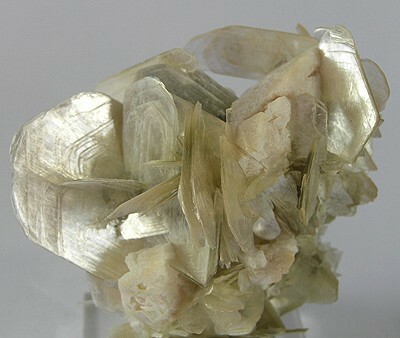 Muscovite with albite from Doce valley, Minas Gerais, Brazil. Muscovite can be colorless or tinted through grays, browns, greens, yellows or very rarely, reds. It is the most common mica, found in granites, pegmatites, gneisses, and schists. In pegmatites it is often found in immense sheets that are commercially valuable. It is in demand for fireproofing and insulating materials and to some extent as a lubricant. 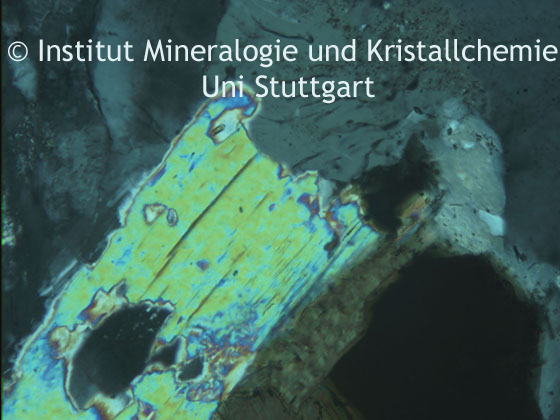 Muscovite image captured with a polarizing microscope using the ProgRes C14+ microscope camera. The name muscovite comes from Muscovy-glass, a name formerly used for the mineral because of its use for windows in Russia.